There is no cash advance fee with this card. It is excellent feature. 9.99% - 15.60% APR is quite low. It is very good if you are looking for a card with low purchase interest, balance transfer interest and cash advance interest. Cash advance APR is also 9.99% - 15.60%. $10000 limit is available with the card. 1% foreign transaction fee is reasonable. Balance transfer fee is only $2. No good promotions or travelling goods. No rewards points, bonus points and cash backs. There is not any 0% APR promotions. 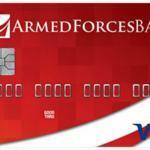 Armed Forces Bank Visa Credit Card is providing one of the most suitable interest states in United States. If you are looking for a credit card with low APR, no cash advance fees, low balance transfer fees. You will need to pay only $2 for each balance transfers with the card. APR is 9.99%-15.60% for this card which is very good. However there are not much travel goods with this card and alternative unique services. 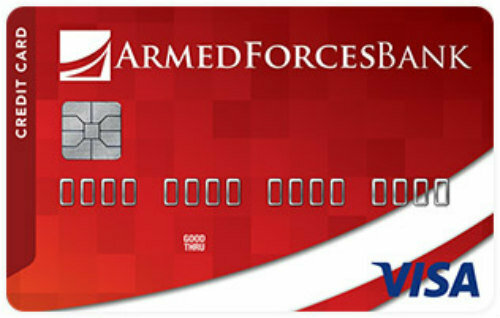 You are not also going to earn rewards with Armed Forces Bank Visa Credit Card. You can see editor scores and ratings of the card below. There is also user reviews under of editor scores table. You can add and read reviews related to this card. You can read some users reviews of Armed Forces Bank Visa Credit Card below.